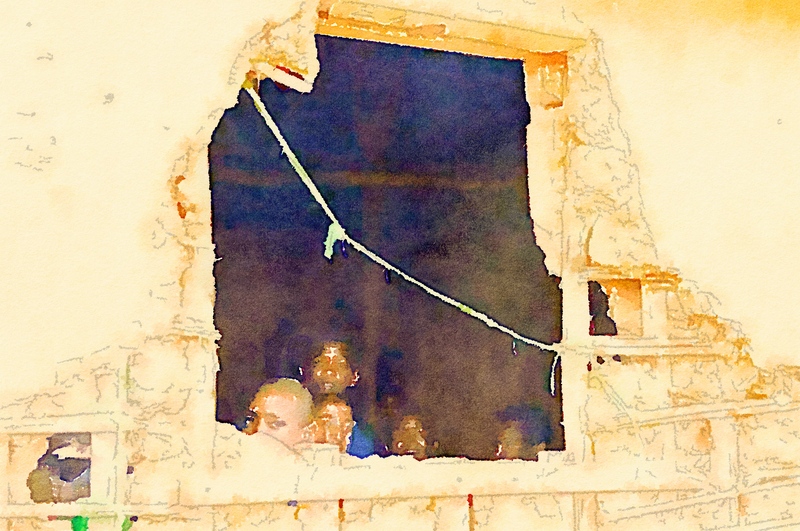 It sounds simple, really: I traveled to Kenya and Rwanda with Episcopal Migration Ministries (one of nine resettlement agencies in the U.S.) the first two weeks in March to learn the process through which Congolese refugees are resettled in the United States. Yet it is not simple at all. The process is actually dismayingly complex. So, as Maria sang in The Sound of Music: Let’s start at the very beginning . . .
What is a refugee? You can find numerous definitions, both simple and complex, but in this case a refugee is essentially a person who is outside their home country because they have suffered (or feared) persecution on account of race, religion, nationality, or political opinion; because they are a member of a persecuted social category of persons; or because they are fleeing a war. That all sounds fairly straight forward, right? But can you pick the key phrase out of that definition? And that’s not simple at all because these are humans and humanity is complex. In addition, refugees are humans who have endured things we cannot even possibly begin to imagine. These are people who fled their homes, and the nations they loved, because life and survival were more of a priority than the risk of remaining in their homeland. And while a fraction, about 1 percent, of the world’s refugees are resettled in the countries that welcome them, most of them are forced to live in refugee camps. Unfortunately, most camps are just that—camps. They provide the bare minimum of what a human needs to survive—shelter (but no electricity), water (but not running water in their homes) and food (but hardly enough to exist on). And “shelter” can vary from brick huts to tents. But, what is even more staggering, perhaps even mind-blowing, is the number of people living in these conditions. In East African, alone, there are 2.5 million refugees and asylum seekers in Sudan, South Sudan, Eritrea, Djibouti, Somalia, Ethiopia, Kenya, Uganda, Tanzania, Rwanda, Burundi, Democratic Republic of the Congo and Republic of the Congo. And that’s just East Africa. In fact, nearly a quarter of the world’s approximately 15 million refugees and asylum seekers are Syrian. The UNHCR (United Nations High Commission on Refugees) deals with refugees from Afghanistan, Myanmar, Iraq, Colombia and other areas of Africa as well. So, take these primitive conditions, add tens of thousands of humans to each camp and leave them there for years—in some cases more than twenty. 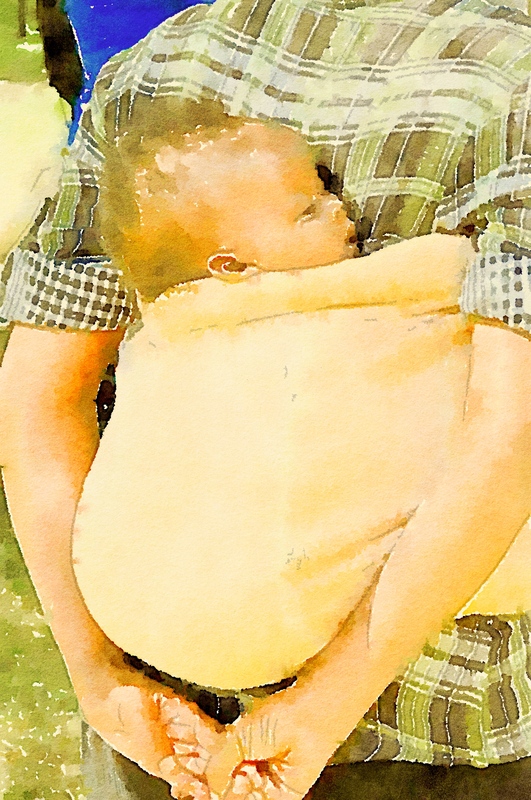 In some camps, children have been born and raised to adulthood without ever having been outside the camp. Can you imagine holding onto the hope that you will be among the one percent chosen to be settled into a new life in a new land? And how absolutely terrifying it might be to be among the chosen—to leave the life you’ve known, albeit a horrendous life, and move to a land where you don’t speak the language nor are you familiar with the culture? And yet despite the hopelessness of it all, hope remains. Perhaps it is just a tiny ember, but it is there nonetheless. Because, maybe, one day, what is known in the parlance as a “durable solution” will be found for all refugees and not just the one percent. Perhaps you will be able to return home no longer afraid for your life. Or maybe you can be assimilated into the country of your asylum. 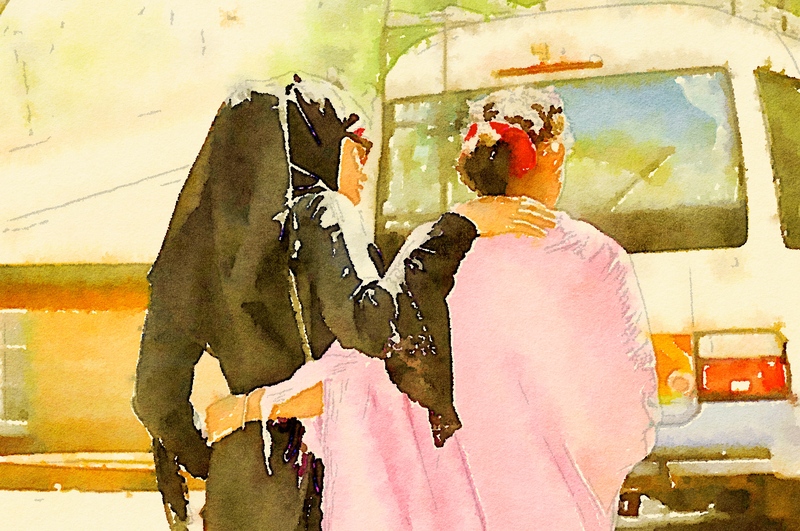 Or, as scary as it might be, perhaps you will be resettled in a town in a new country—the United States or Canada or Australia or one of the other nations that accept refugees—where you can begin life anew. If only it were that simple. But more than refugees are involved. There are those people, the minority, who have given their lives to help refugees find a new life, but there are also those people who fight against bringing refugees into their nations. There are also the governments of the nations that host refugees. Some of these governments do what they can to help those seeking refuge, but more often than not refugees are actually unwanted and are treated as less than human being subjected, male and female alike, to sexual violence, being forced to pay bribes to government officials and gangs, as well as becoming victims of scams that promise them resettlement in exchange for money. Conditions in refugee camps are not improved in the hope that it will encourage the refugees to leave despite the fact the reason they are refugees is because they have no place to go—they are truly homeless. They are neither wanted in their homeland nor in their country of asylum. And yet in the midst of this I did see signs of hope even if the refugees could not see it themselves. In an upcoming blog post I will share signs of this hope. Photos “waterlogued” by Frank in the app of that name. 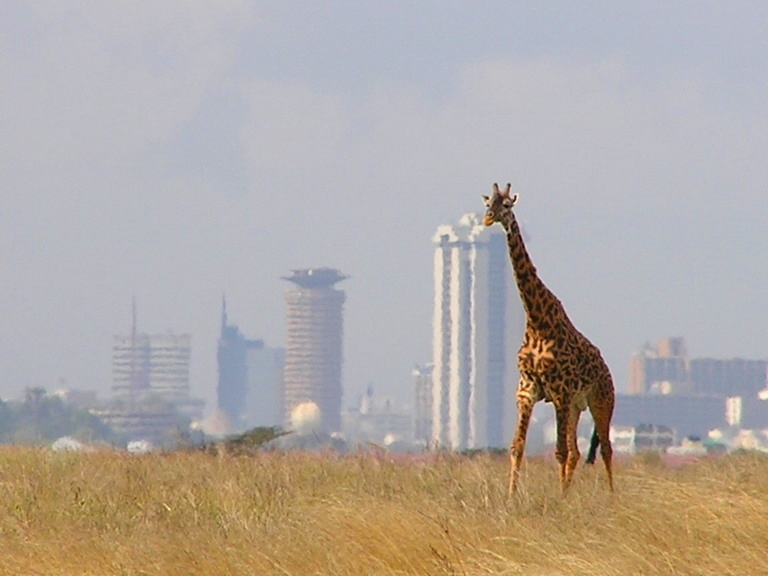 A twiga (giraffe) with the Nairobi skyline in the background. Our pilgrimage to Kenya and Rwanda, to learn and share about the resettlement process for Congolese refugees, begins today with a short flight to New York City. Monday afternoon, we will fly to Nairobi by way of Amsterdam. And while the bulk of our time will be spent learning about this process in both Nairobi, Kenya and Kigali, Rwanda, we will also get to see a giraffe feeding center and an elephant orphanage (thus the above photo/I couldn’t resist). The trip will encompass visits to: the Resettlement Support Center (RSC) in Nairobi, Gihembe Refugee Camp in Rwanda, the Rwanda Genocide Memorial Centre, and the United Nations High Commission on Refugees (UNHCR) branch office in Kenya, among a number of other places. I am looking forward to all that I will learn about this very important ministry and look forward to sharing my experiences. The intention is to both blog while there as well as upon my return.